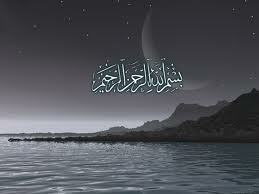 We have seen that the words “Name+God+Gracious+Merciful” forming “Bismillahirrahmanirraheem” are coded with 19. These words are used throughout the Quran. In some verses, the word “God” is used more than once and in some verses both “God” and “Merciful” or “Gracious” are used together. Katerina Kullman, a Swedish muslim, was curious about how many verses have at least one of these four words and she was the first person who witnessed this interesting characteristic. If you write two 19s consecutively, you get the number 1919 and this number is the number of verses which have at least one of the four words that form Basmalah. The suras that start with initial letters are important elements for the system of 19 in the Quran (We will study these suras in the following pages). When we look at the distribution of those 4 words in the suras that start and do not start with initial letters, we reach this conclusion: Of the 1919 verses mentioned, 1083 (19×57) of them have initial letters and 836 (19×44) have no initial letters. We counted the words in the numbered verses and found out that the words forming the Basmalah were the multiples of 19. It is clear that the Basmalah is the first numbered verse of sura “The Prologue,” which is the first sura. Many people probably have not understood why the Basmalah is numbered only in the sura “The Prologue” all through the Quran. And some people have thought that the Basmalah that is at the beginning of the sura “The Prologue” was numbered by mistake, or that other Basmalahs were placed at the beginning of other suras to imitate the sura “The Prologue.” The code 19 provides a conclusive explanation for this peculiarity and puts an end to all the debates and suspicion on this subject. Does God not say in the 31st verse of the sura “The Hidden” that 19 will dispel the suspicions? After reading the following Quotation from a Christian Arabic Language professor on the beauty of the Quran, I started re-learning to read the Quran in Arabic.